Impressive entertaining has never been this easy – but no one needs to know that! Preheat your grill on setting #4. Whisk together sriracha, lime juice, maple syrup, brown sugar, lime zest and salt. 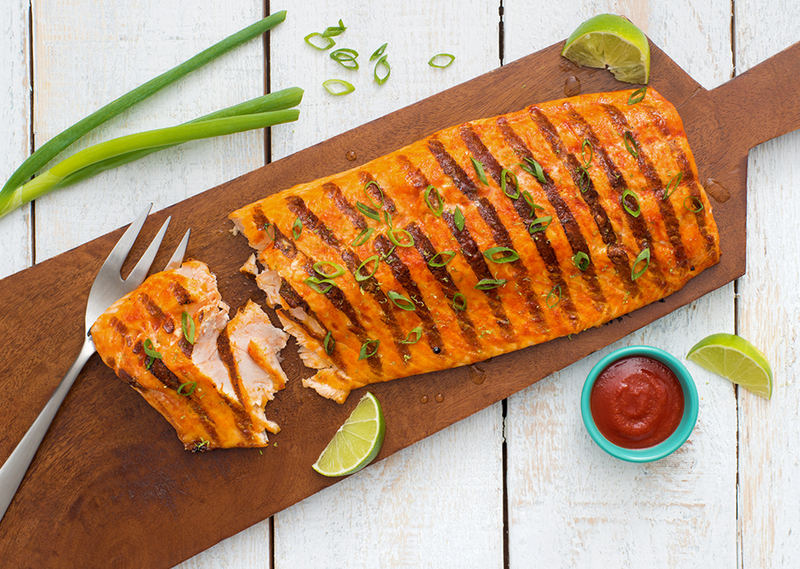 Brush over top of salmon and let stand for 20 minutes. Grill, covered and without turning, for 15 to 18 minutes or until grill-marked and fish flakes easily when tested with a fork. Sprinkle with green onions before serving.